A2 poster - Big, bold, colourful fruits! An eyecatching display enjoyable by all ages. 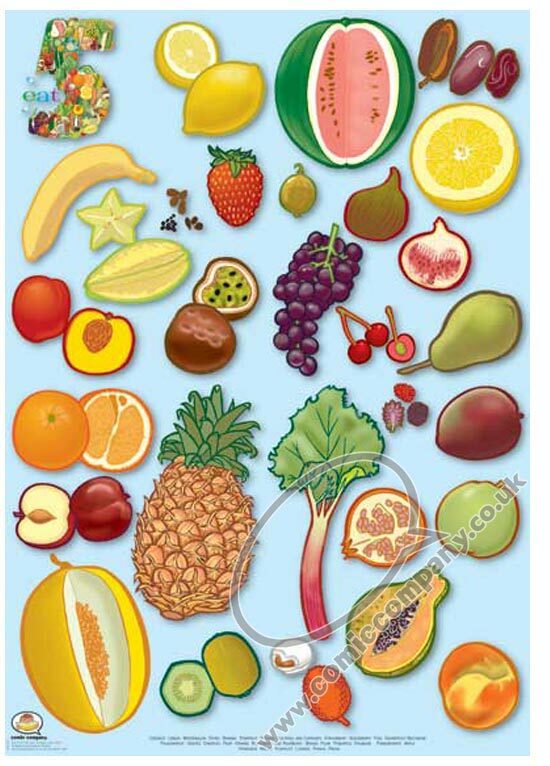 Good for promoting discussion and for learning the names of over 30 common fruits.